The name of the Society shall be International Jew’s Harp Society/Internationale Maultrommelgesellschaft/Mezhdunarodnoye obshestvo vargana, and the equivalents in other languages shall also be acceptable. 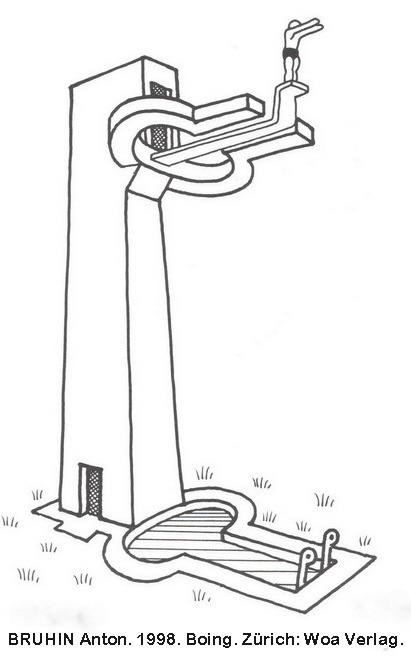 The purpose of the Society shall be to bring together people with any kind of interest in the Jew’s harp, to exchange and disseminate information on the instrument in past and present, to support national activities, to coordinate global activities, and to generally promote the instrument. Any person, institution, or organization may become a member by applying to the Secretary-Treasurer, and by payment of dues. Annual dues will go to publications, and to the necessary expenses of the officers. Dues in the amount of US$30.00 (or the equivalent in other currencies) will be payable at the beginning of each calendar year. The membership application or renewal form will include a statement to be checked, to the effect that the member is unable to make the payment. Members will have the opportunity to pay an additional $30.00 or more, to make full membership possible for others who cannot pay. The elected officers of the Society shall be the President, and the Secretary-Treasurer. The President shall preside over meetings of the Board of Directors, and over the general assembly of members at the Congresses. The President shall communicate with the Board, the members, and individuals, on matters relating to the Society. The Secretary-Treasurer shall maintain the membership list, and shall accept dues and other payments, and disburse moneys for publications, communications, and other necessary expenses. The Secretary-Treasurer’s residence shall be the official seat of the Society. The term of office for the President and the Secretary-Treasurer shall be from the end of one Congress to the end of the next. The Board of Directors shall consist of the President, the Secretary-Treasurer, and 16 members to be elected from the Society’s membership. The Board shall be charged with making policy and business decisions, including the places of Congresses, and with appointing the editors of the Society’s publications, and other officers as needed. One half of the Board members shall be replaced or renominated at the end of each Congress. A nominating committee of three members shall be appointed by the President for each election. The balloting for officers and Board members shall be by e-mail, and by post for members without e-mail. The Society shall hold a Congress/Festival about every three years. Invitations shall be considered by the Board, and a place chosen not later than at the previous Congress/Festival. The principal language for public events shall be English; every attempt shall be made to accommodate non-English speakers. A Program Committee for the Congress and Festival shall be appointed by the President well in advance of each Congress/Festival, consisting of a chairman and two other members. The chairman will act in coordination with the local organisers. The Program Committee shall have a role in the selection of papers proposed for the Congress, and organise the lectures into sessions in accordance with the schedule provided by the local organisers. The Program Committee shall also advise the local organisers with regard to the Festival Program. The publications of the Society shall be a journal, the Journal of the International Jew’s Harp Society, to be published annually in the form of a successor to VIM, and a newsletter to be published as needed in the form of e-mail, and in printed form for members without access to the Internet. A publications board of three members shall assist and advise the editors of the journal and the newsletter. The journal and newsletter shall be in English, the newsletter with translations to other languages if desirable. Annual membership $ 30. You may also wish to make a donation for the IJHS using the Paypal 'Donate' button. 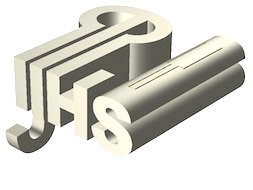 The IJHS has two official logos. They were designed by Tadagawa Leo in 2004. The flat one was given its final form by Kojima Megumi, and the 3D one by Kojima Ryuji. Learn more about how to join, subscribe or donate and easily use PAYPAL. Conception, contents, webmaster: Philippe Dallais, IJHS. Website: Stefan Wagner and Andreas Kosmowicz, KosmosKosmos Webentwicklung.